Parenting today is even more different and difficult than I realized. Every generation is a bit different from the last because the world changes. But the rapidity of change has never been greater nor its effects more potentially troubling. As I have said before, my parents’ modest home was truly a castle that protected their values. No outside influence could cross the figurative moat. Today? The world…with all its violence and vulgarity…enters our homes through numerous screens that are all over the place, relatively cheap, easy to use, extremely attractive (and even addictive) to our young. Aside from the tech distractions we have to deal with constantly that catches the young ones’ attention so they choose to ignore ours, the noise is undoubtedly glaring too. Whether it is from your devices or the sounds emitted by your surroundings, silence comes far in between. Even boredom is virtually non-existent and it is not good for kids as they become more impatient. They want everything done in an instant. Kids lose patience and complain a lot because they never had to deal with boredom before. Although not all of these are directly the parents’ fault, them allowing their children to indulge in these modern tech gadgets is something they can be held accountable for and have contributed why parenting is so difficult these days. Interestingly, by the time a baby chick hatches out of its shell, the hen has incubated the egg and rotated it several times a day. As the egg reaches maturity, the hen pecks a small hole in the end so the chick can breathe. When its time to hatch, the chick pecks small holes all the way around the inside of the egg, and then spends hours pushing against it to break free. It’s mother watches and waits. Her job is done. In the end, the chick is tired and exhausted, but able to walk, see, hear, and feed itself. Intervening in that natural process can kill the chick. Our children need to break out of their own shells. They’ve got to flex their muscles to gain strength, and find out what they are capable of doing. Sometimes they’re more surprised than we are. That’s the best part. 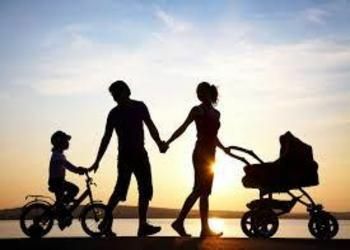 What parents need to realize is that the essence of parenting never changes despite the passing of time or modern advances we are now enjoying. We may do everything for them as kids but that should change as they grow older. Instead of babying them, they should be taught how to do things on their own so they won’t have a hard time adulting later on. Parents can shower their kids with love and adoration but they should also give them a chance to soar high on their own by teaching them life skills as soon as they are ready and enable them to have a better and brighter disposition in life. It is not easy doing that but a parent’s role is to prepare their kids for adult life and not chart the course they are supposed to take. Allow your children to make their own choices and experience what life is all about. You can’t always spare them from the pain, hurt, and dangers of the outside world but you can assure them that you would be there for them no matter what.